Charles D. Dunbar is a Member in the Banking and Financial Services industry groups, focusing primarily on securities regulation and corporate governance, commercial lending, commercial litigation, and mergers and acquisitions. He practices out of the Firm’s office in Charleston, West Virginia. Charles has been representing the interests of West Virginia financial institutions for more than 30 years. In addition to holding his law degree, Charles is a Certified Public Accountant. He regularly advises financial institutions on regulatory and compliance issues, and has represented financial institutions in more than 100 mergers and acquisitions. His work has earned him recognition in The Best Lawyers in America® for banking and corporate law. Charles is known for his clear and comprehensive lectures on financial law – he presents to financial institutions, trade associations, and bar associations on topics such as deposit accounts, corporate and financial services, and other topical commercial law issues. 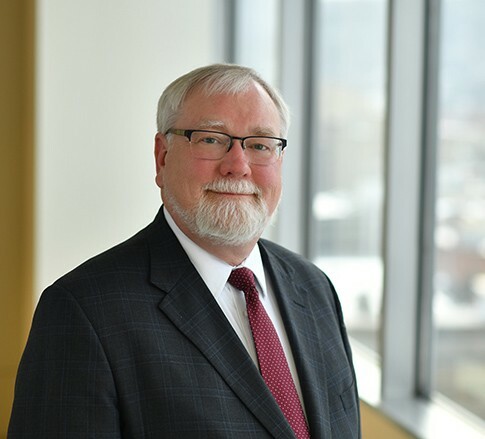 Additionally, Charles is a frequent lecturer to academic and professional organizations, with talks on corporate and securities law, consumer lending, consumer checking accounts, general consumer protection, business issues, currency reporting, the Uniform Commercial Code, and general business and litigation.